A new Jeeves and Wooster novel, penned in homage to P.G. Wodehouse by bestselling author Ben Schott, in which literature's favorite gentleman and his gentleman's personal gentleman become spies in service to the Crown. Although Schott, whose first novel this is, cannot compare to PG 'Plum' Wodehouse’s peerless ability with comic plotting and situation, his joy in manipulating language is certainly on a par—and an unexpected but welcome topical element gives the high jinks some added bite. The convoluted plot has many strands, none of them remotely realistic ... With the exception of one hysterically funny set piece involving Spode, the marching band of the Worcestershire Regiment and a herd of pigs, this is consistently witty rather than laugh-out-loud hilarious, but Schott excels with a series of similes and metaphors every bit as striking as those Wodehouse came up with ... this is still a delight to read. 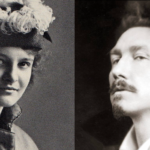 An especially nice, Schottian, touch is the appendix, explaining allusions and references, although there are plenty left unglossed for the connoisseur to appreciate. Although it’s coming out in time for Christmas, this homage to Plum is anything but duff. From the very first page until the final one, Mr. Schott’s method of composition mirrors the original, employing both madcap adventure and the wordplay that is characteristic of Wodehouse novels. 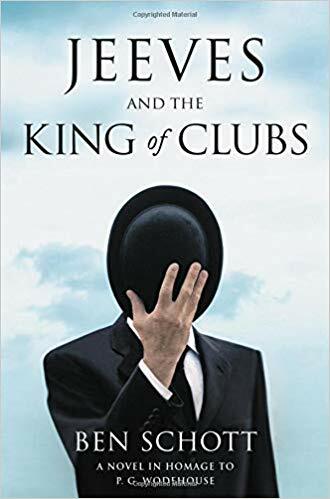 The Jeeves fan will marvel at how close author Schott’s style mirrors the original ... Jeeves and the King of Clubs is an experience not to be missed, a rollicking satire of stiff upper lips and gentlemanly capers in which even the title is a play on words. What did you think of Jeeves and The King of Clubs?